Ukraine’s presidential candidate Yulia Timoshenko will not recognize the victory of her rival Viktor Yanukovich. In a televised address on Saturday she said she would challenge the results of the election in court. "Our opponents have once again demonstrated their inability to compete in accordance with honest democratic rules. I can tell you today that the election result in Ukraine has been forged. 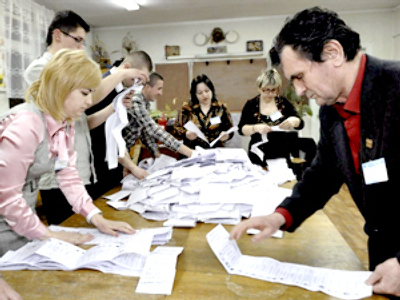 With various means Yanukovich falsified a million votes across the country. And I will challenge the results of this election in court. To not go to court would mean to abandon Ukraine to the hands of criminals," Timoshenko said. “These votes are sufficient for us to win,” she added, saying that some OSCE observers are ready to support her in court and provide videos supporting her stance. “I am responsible before the country, and this obliges me to fight for justice,” she stated. On Sunday, Ukraine’s Election Commission announced official final results of the second round, with Yanukovich getting 48.95 per cent and Timoshenko 45.47 per cent of the vote. Konstantin Kosachev, the head of Russia's State Duma Foreign Affairs Committee, believes that the new president will improve Ukraine's relations with Russia – which were damaged during outgoing leader Viktor Yushchenko's term. “Mister Yanukovich, I believe, is not the pro-Russian president of Ukraine – he is the pro-Ukrainian president of Ukraine and he will definitely act in order to promote the national interests of Ukraine-- but good relations with Russia is a national interest of Ukraine,” Kosachev told RT. The biggest problem for president Yanukovich now is to form a majority in the parliament, says Irina Kobrinskaya, political analyst from the Institute of World Economy and International Relations in Moscow. “Ukraine finally has a new, legitimate president – that is definite – but we cannot say that the political struggle is over and the political crisis is over because Ukraine is a parliamentary presidential republic which very much depends on who will be the prime minister,” she said. 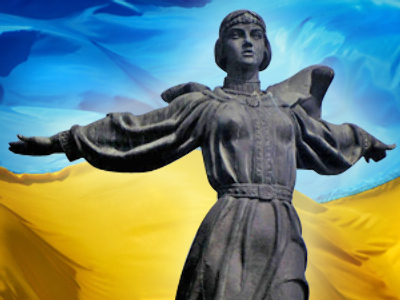 Five years ago people’s trust toward the leaders of the Orange revolt and its leaders – Yulia Timoshenko and Viktor Yushchenko – seemed unlimited. They promised much-desired change and their words lifted people’s hearts. But now all of that is lost. Once close allies, Timoshenko and Yushchenko are now in the opposite camps. The economy, which was vowed to be reformed and brought to double-digit growth, is now in ruins. The country’s reputation as a reliable gas transit nation is in tatters after a series of energy disruptions. Corruption is believed to have plagued all levels of power. Many still believe that the Orange forces were backed from abroad. As a pay-back, Yushchenko’s first steps as President in 2005 were to abolish entry visas for Europeans and to declare Ukraine’s ambitions to join the EU and NATO. But by the time Ukraine had to choose the new leader, the ones who supported Yushchenko seemed to have turned away from him. “The West, which did indeed play a very considerable, if not definitive, role in the Orange Revolution of 2004 has realized that things have moved on. Their candidate then in 2004, Viktor Yushchenko, was humiliated in the first round three weeks ago. His presidency has been an absolute disaster,” says John Laughland from the Paris-based Institute for Democracy and Co-operation. As if proving he could not get a grip of the worsening situation in Ukraine, Yushchenko was at the forefront of some unpopular and erratic decisions. He glorified a controversial WWII Nazi collaborator as a Hero of Ukraine – a step which broke his long-term friendship with the Polish President Lech Kaczynski. When the country was gripped by last year’s financial turmoil, instead of signing anti-crisis legislation, Yushchenko ratified a decree on the protection of bats in Europe. 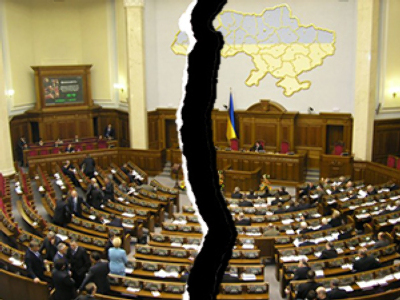 And the turbulent nature of his relationship with Yulia Timoshenko resulted in a constant political deadlock. In the last year, the bureaucratic war between them virtually paralyzed the work of Ukraine's government. In the midst of an economic crisis it was disastrous. No wonder Ukrainians did not favor Viktor Yushchenko in the first round of the presidential election, to say the least. He got less than 4 per cent of the vote. Yushchenko is neither an ally nor a rival for Timoshenko now. It is Viktor Yanukovich who stands in her path to the presidency. But whatever the official results of the second round are she is determined to continue the fight for power.